Today's biggest iPhone and iPad game bargains. 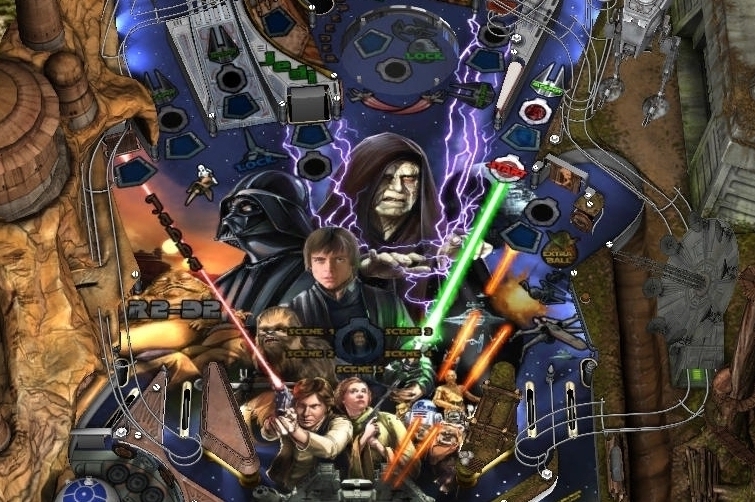 "Set in a galaxy far, far away, Star Wars Pinball lets you interact with the most iconic characters, and relive the greatest moments of the Star Wars universe. Choose to support the Galactic Empire or the Rebel Alliance with your high scores as the Star Wars Pinball community fights for the Balance of the Force!" "Gamebook Adventures 3: Slaves of Rema is the third in a series of newly written adventure gamebooks for the iPhone, iPod Touch and now beautifully realised for the iPad! We are completely original and not simply a re-print of old gamebooks." "The winter has come, and our little Snowball has woken up to a wonderful land of snow! He doesn't know who he is, he doesn't know where he is, but he is trying really hard to find out. You must help our Snowball survive in this mysterious world! During your adventure you will meet a lot of puzzles, obstacles and enemies. The Snowball's destiny is in your hands now!" "That's My Bag gives a fresh twist to the matching game genre, challenging the player's memory and reflex at the same time. Make delivery of matching bags from the rotating belt while defeating the approaching pirates before they capture any bag."